Handyman Decorating Painting UB Uxbridge | Quality Property Care Ltd. 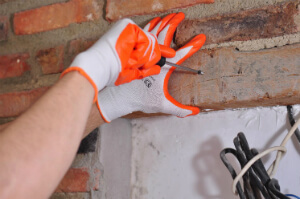 Enjoy the expert house improvement and repair services in Uxbridge UB, call 020 3746 4287 and ask for our professional handyman services in Uxbridge UB. Specify your needs and we will send a tradesman to aid you however he can. Not only the big abundance of various property improvement and repair services we offer, but also numerous other benefits have put Quality Property Care Ltd. on the leading position in UK-based handyman companies. We get an extremely high rating for a handyman company in Uxbridge UB, because we have a broad coverage! We are available in all England territory: including in Greater London and South East London! But also, we can boast with all of the following handyman services and company gains: cheap prices, flexible schedules, no hidden charges, bargains to all loyal customers and every next booked service alongside with professional handyman! Our handyman company Quality Property Care Ltd. has 10 years of experience in the field. With improvement through the years we have added in numerous new property improvement and repair services. In addition to this, we also improve the education and the qualification of the handymen. All handymen we get are tested, well-trained and experienced. They have the necessary skills to cope with numerous of different fix-up tasks, exterior and interior repairs. Having an odd job man London by your side can be a real rescue from the chaos in your life! No more damaged light changes or leaks in the restroom! No more damaged hangers in the lobby and hello to the newest renovating, hanging and wall mounting improvements to your home! Painting and Decorating – including tiling, plastering and skimming, grouting/sealing, wallboarding, etc. Get an efficient handyman service in London, call 020 3746 4287 and ask for Quality Property Care Ltd. finest handymen. For fix-up-tasks or any unusual job in London, contact us at any time and get help immediately. We do general repair work, property improvement and repair, indoor and outdoor painting, decorating, hanging and wall mounting and quite a lot more. Call anytime, get the finest handymen in London at a reasonable cost today!